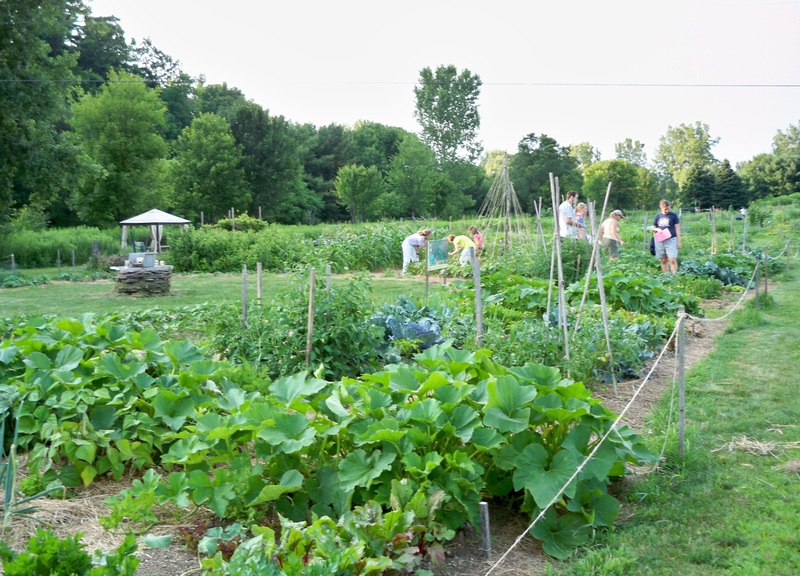 The WVPD is the proud host of several community gardens located at the Ethan Allen Homestead in Burlington that area managed by partners from several local non-profits and community organizations. During the growing season the Ethan Allen Homestead comes alive with gardeners and activities! Be sure to check out the gardens as you visit the park, but please be respectful of the individual plots and leave the produce in the gardens for those that have worked hard to grow it! 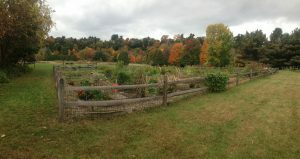 The Winooski Valley Community Garden occupies a one acre site at the Ethan Allen Homestead to the west of the entrance road. The garden was founded in 1976 by Tommy Thompson of Gardens for All and is the longest serving community garden in Burlington. 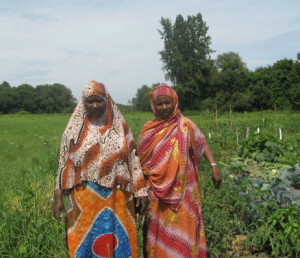 Burlington Parks, Recreation and Waterfront has coordinated the Winooski Valley Community Garden as part of the Burlington Area Community Gardens (BACG) Program since 1987. 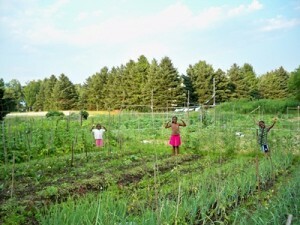 The Winooski Valley Community Garden includes 40 full plots, some of which are divided into half plots. The site has water spigots and a tool shed with basic hand tools for community gardeners to use. The north end of the Winooski Valley Community Garden includes two raised garden beds which are designated as handicapped accessible. 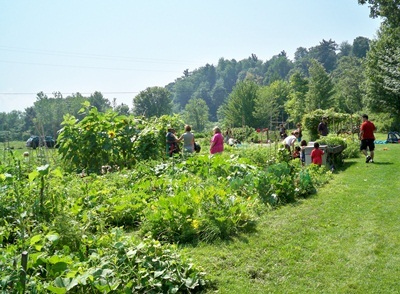 Community members may rent a garden plot for the season at the Winooski Valley Community Garden by visiting the BACG web page or by contacting Burlington Parks, Recreation and Waterfront at (802) 864-0123 to request a BACG registration form. The Discovery Garden began in 1996 as the Children’s Discovery Garden and was renamed in 2008 as the New Discovery Garden. Originally intended to serve as novice and family friendly garden designated for beginners and families. In 2014 the garden was expanded and redesigned to accommodate more garden plots and is now know as the Discovery Garden. The garden is located to the north of the WVPD Picnic Shelter at the Ethan Allen Homestead. Discovery Garden participants have access to water spigots and a tool shed with basic hand tools. Community members may rent a garden plot for the season at the Discovery Garden by visiting the BACG web page or by contacting Burlington Parks, Recreation and Waterfront at (802) 864-0123 to request a BACG registration form. The Community Teaching Garden (CTG) occupies a ¼ acre site at the Ethan Allen Homestead to the south of the Winooski Valley Community Garden and VNA Family Room Garden. The Vermont Community Garden Network founded the Community Teaching Garden in 2003 as a hands-on gardening program designed for beginning adult organic gardeners. Course participants learn how to plant, cultivate, harvest, and preserve fresh vegetables. Classes are lead by the Vermont Community Garden Network. For additional information call (802) 861-4769. The Visiting Nurse Association (VNA) Family Room Garden is located between the Community Teaching Garden and the WVPD Community Garden. The VNA Family Room has maintained a garden program at the Ethan Allen Homestead for parents and young children since 1999. The VNA Family Room Garden includes a group meeting garden area with permanent raised beds and an additional area divided into small plots for family gardens. For more information, please visit the VNA Family Room web page or call (802) 860-4420. The Association of Africans Living in Vermont (AALV) is a community-based organization that helps new Americans from all parts of the world gain independence in their new communities through a range of integration services to aid in the transition to living and working in Vermont. 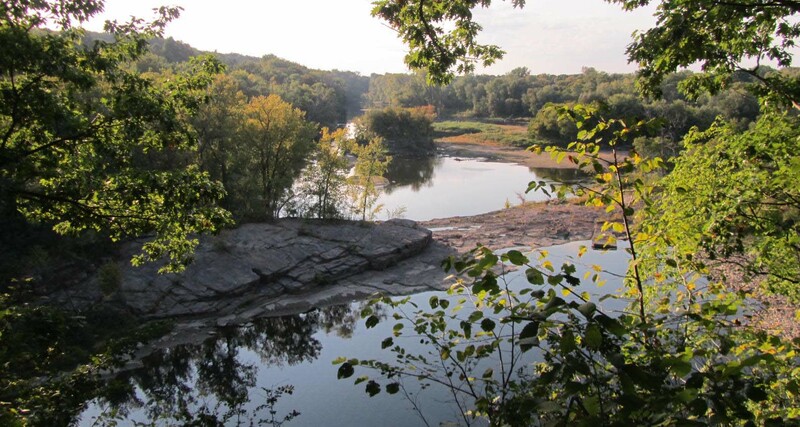 AALV maintains the six acre New Farms for New Americans site in the fertile field along the Winooski River to the north of the Ethan Allen Homestead. AALV has coordinated the New Farms for New Americans Program since 2008. The garden plots allow refugees and immigrants to grow fresh produce for their families. For more information, please visit the AALV website or call ( 802) 985-3106.